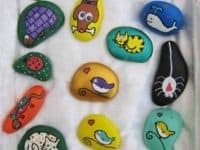 Whether you’re hoping to create some simple, cost effective decor for your home or just hoping for fun crafts to do with your kids, rock painting is an awesome option. 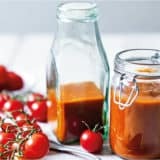 It’s also easy to do! 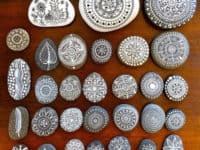 As long as you can access to good all-surface paints, some paint brushes, and a rock that you like the look of, you’re pretty much set! 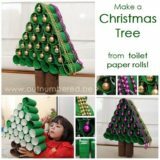 The only thing left to get is a little inspiration. 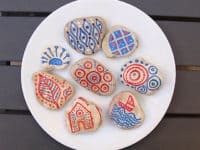 Check out these 15 awesome rock painting ideas that will have to digging for brushes and setting decorative rocks on every spare window sill and mantle piece! 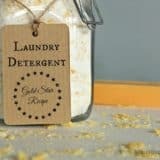 One Perfect Day suggests just having fun with it! 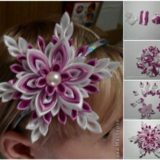 As long as you’ve got some colours and some patterns, what could go wrong! 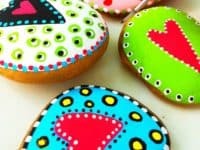 Paint some stripes, some dots, and some spirals and enjoy yourself. 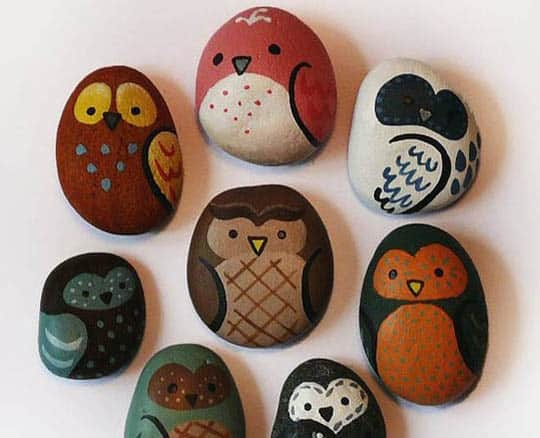 Tightwad shows you how uncanny the resemblance between smooth, round rocks and feathery little owls is! 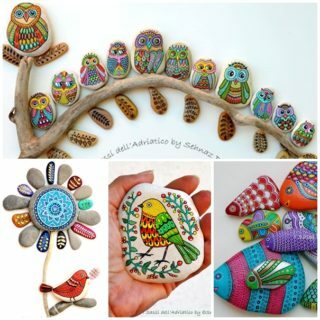 We adore the idea of painting each little bird with differently coloured feathers and different features and patterns! 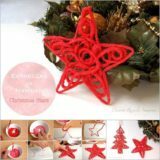 We love the idea of giving friends and loved ones handmade artwork for Valentine’s Day! 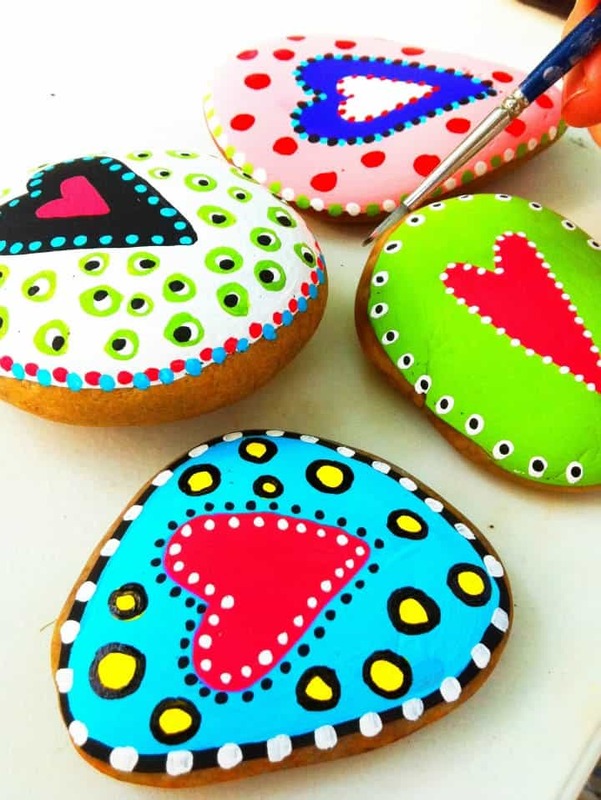 Why not paint them a brightly coloured heart that they can set next to their alarm clock as a reminder of how much you care about them? 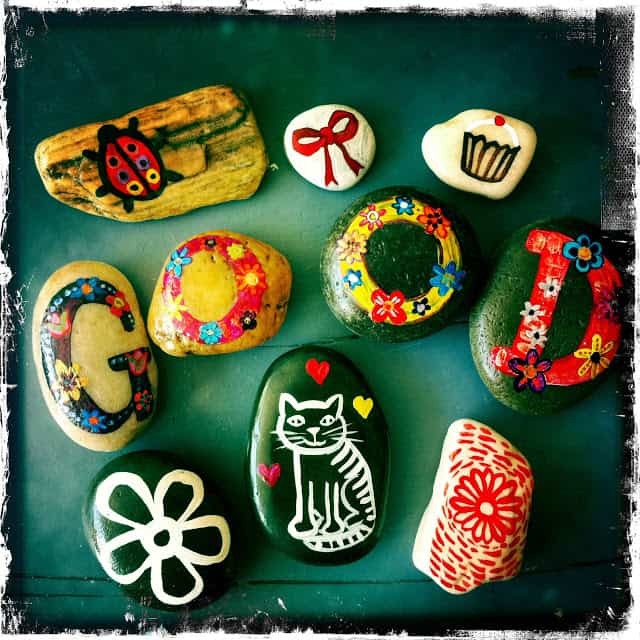 Seal the paint with Mod Podge lieke Blooming on Bainbridge did to give the rock a glossy finish and stop it from chipping. 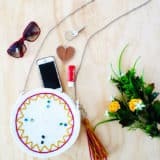 If you’re looking for something heart-themed that still catches the eye but in a classier or more muted way, these detailed little heart designs from Inspire Bohemia are the way to go. 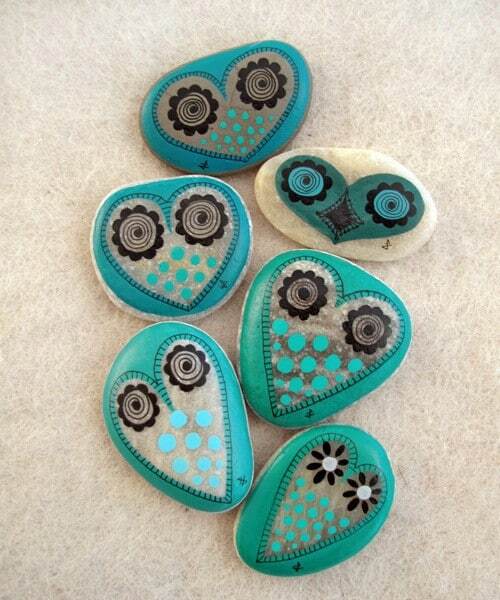 We love how the turquoise (or whatever colour you choose) contrasts with the stark black fine details. 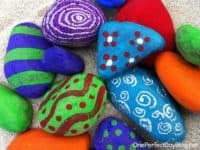 Colours are a lot of fun but if you’re painting rocks for decor, sometimes plain white paint is the best looking option! We love how intricate clean white lines, circles, and dots look against these larger rocks by Funnel Cloud. 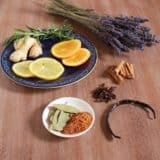 Simple is sometimes best! 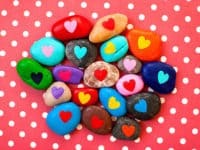 A little, solidly coloured heart on a nicely marbled rock is an easy way to add some flair to a decorative piece. 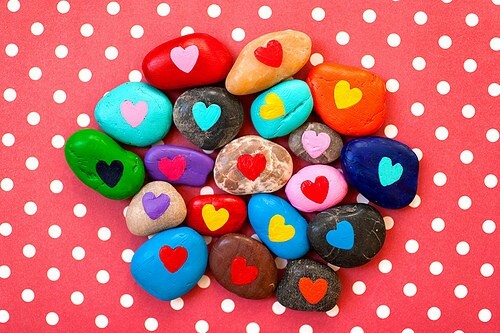 If you can’t find a rock with a base colour you like, pick a solid background colour that complements or contrasts nicely with your heart! 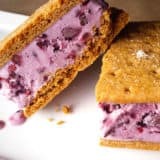 These ones are an easy idea for kids. 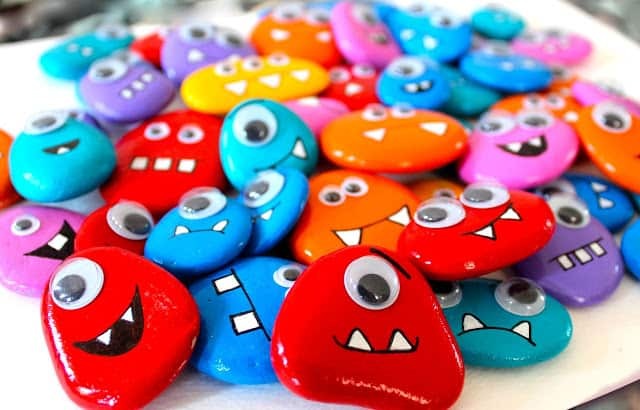 As if the idea of rocks apinted like little monsters isn’t funny enough, Coast Always glued googly eyes to these ones for maximum hilarity. 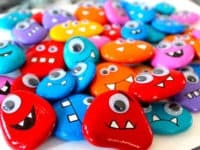 You can also glue a piece of magnet strip to the back so the monsters will stick to your fridge! 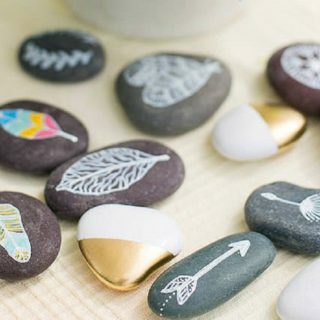 Small, dark pebbles are the perfect place to use white paint. 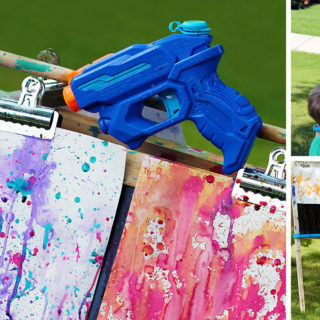 They might seem like a weird place, however, to practice your finest, most detailed painting skills. 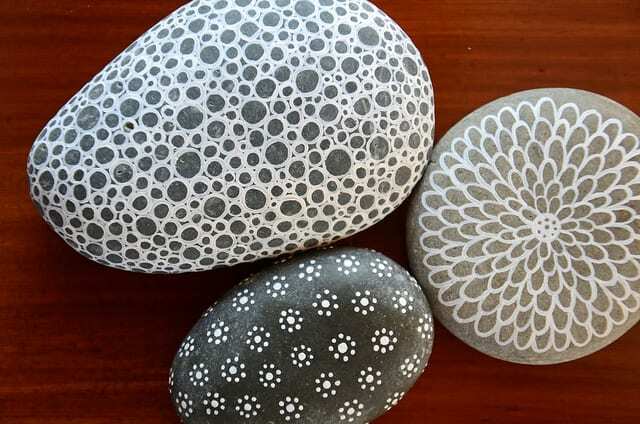 If these designs from Tumblr in Illustration are anything to go by, though, the patience and care that it takes to paint such intricate patterns on such little pebbles is absolutely worth it! 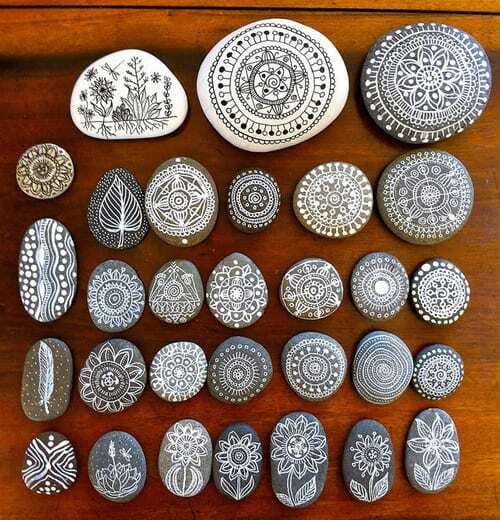 If the pebble is very light, you might try intricate patterns in black paint too. 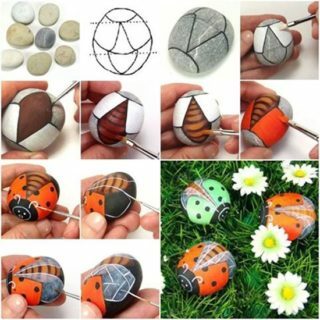 Red Bow Studios shows you how great even simple drawings, shapes, or patterns can look on painted rocks. 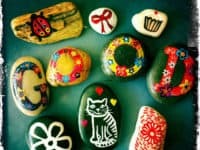 Letters are possibly the simplest shape and they’re fun for making decorative words with, but you might also jazz them up with little painted flowers! 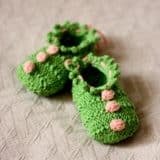 Creative Jewish Mom reminds you how great simple doodles made of solid or wavy lines and a few dots can look. 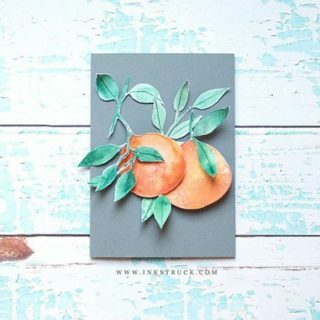 Especially if you big an easy coordinating colour scheme, it’s easy to paint sailboats, wind, rays of sunshine, and leaves to decorate your home with. 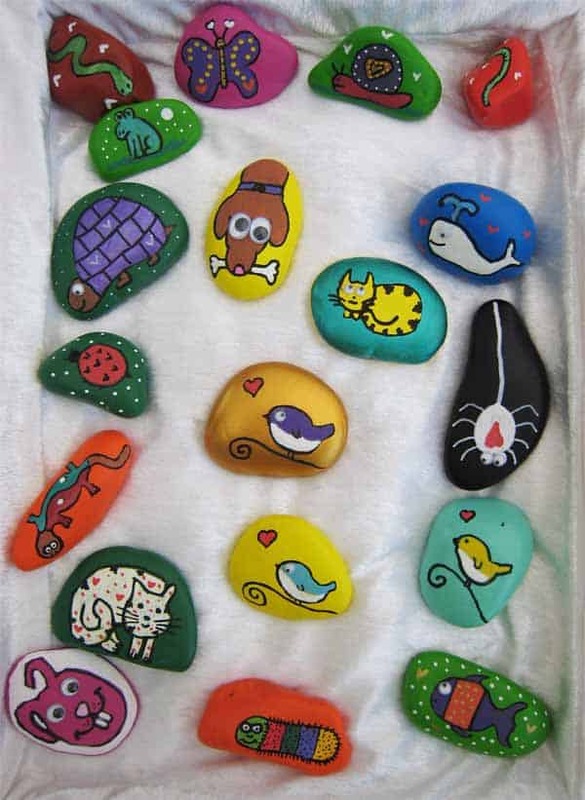 Heart Art suggests painting little cartoon animals to keep the craft whimsical and fun! 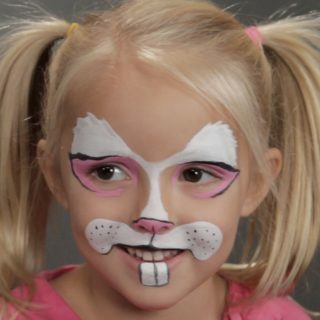 Whether you’re making a bunny with googly eyes or a little bird blowing a kiss, you’ll feel cheerful every time you walk past the finished product in your home. 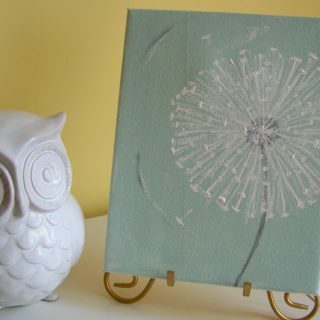 Are you an artist and painter just look for a new canvas or medium to have fun with? 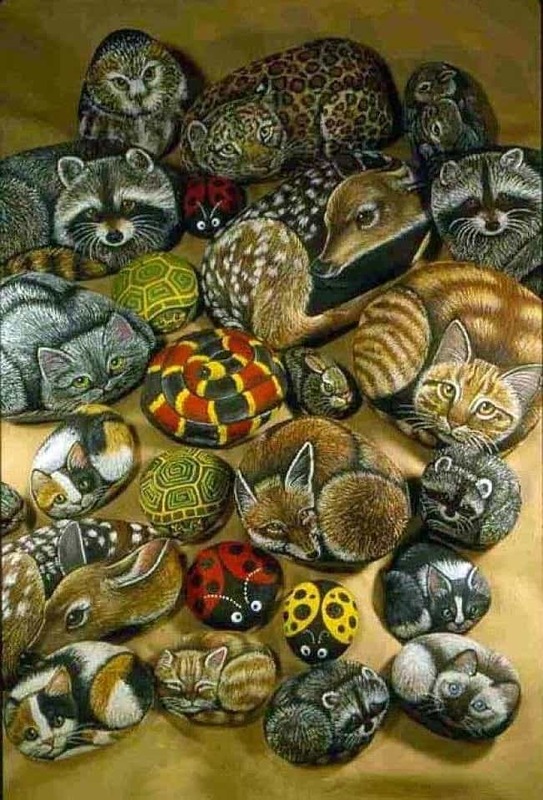 Use rocks as a new place to practice painting realistic animals with gorgeous fine details, just like these ones from Lin Wellford. 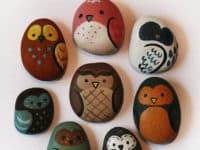 An oval rock shape is perfect for making a little animal curled up to sleep! 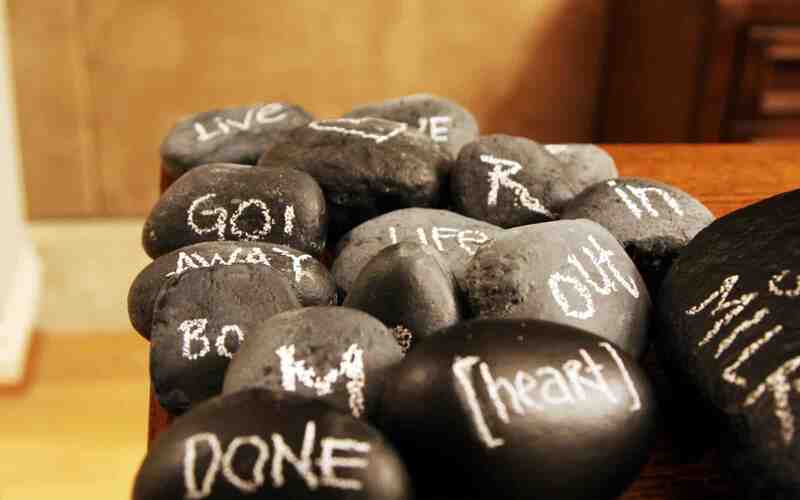 A simple coat of black chalkboard paint as you in business for creating any message rock you want! 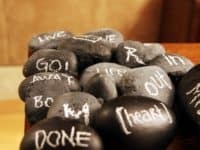 Grab some white chalk and write a a key word on each rock, then arrange them by the phone to let your family know whether you’re out, whether the dishwasher has been emptied, or just that you love them. 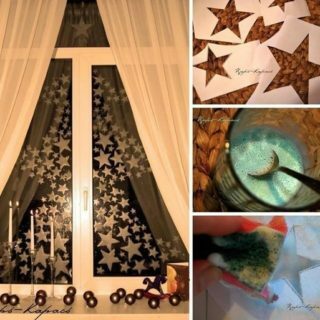 Check out how B3 Home Designs recreated this idea after seeing them at Pottery Barn. 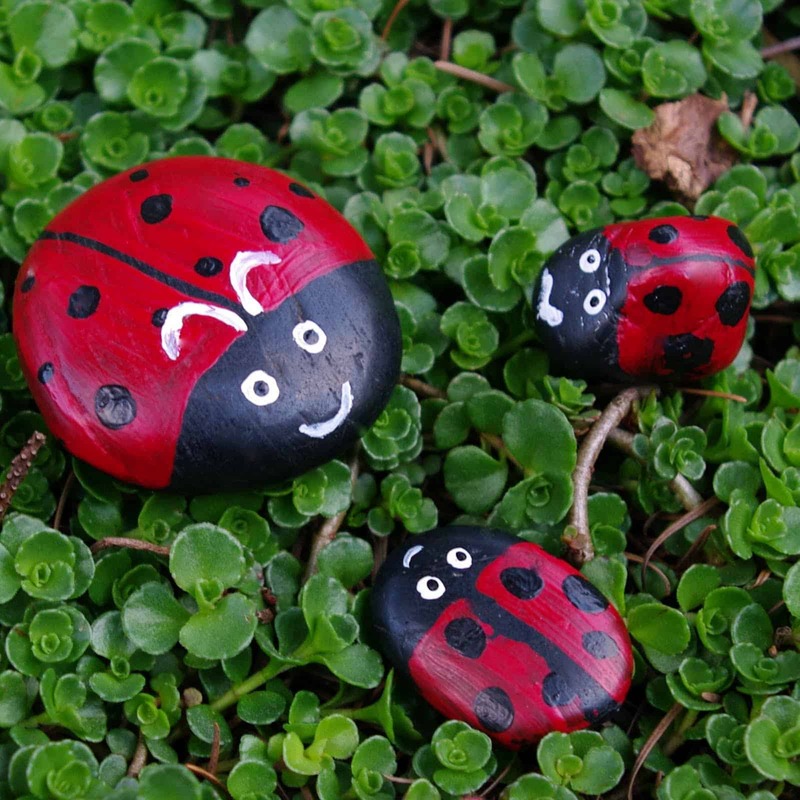 If you’re looking for simple garden decor, painted rocks are the perfect thing! 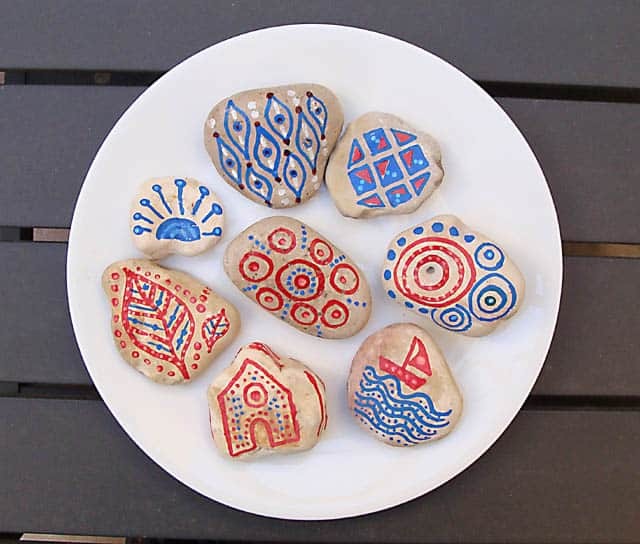 Especially if you seal them with Mod Podge, the paint wears well and decor made of rocks is difficult to damage. 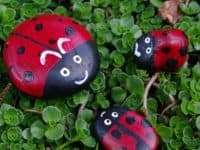 Little lady bugs like these ones from Passengers on a Little Spaceship will look great in your garden! 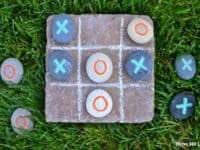 Thrive360Living shoes you how to not only paint rocks with a cute design but also create a little garden game while you’re at it! 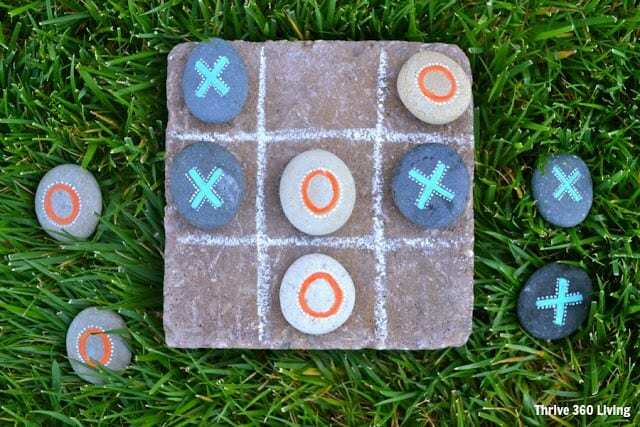 Set this sturdy little X’s and O’s set by the porch and play on lazy, sunny afternoons in the summer.